Nexus 2016 Updates and rumored pictures, pricing and specifications: Here are the latest images of upcoming Nexus 2016 which had been leaked so far on the internet with the expected prices. The Nexus 5X and the Nexus 6P were made by LG and Huawei respectively as opted by the Google. This year also, Google is planning to announce one new phone. Google made the Nexus smartphones to set an example for the best of Android to all the manufacturers. But this time, Google is opting for the company, HTC, for the production of the entire range of the new phone. Not only this, as per the rumors, it was heard that Google is leaving the “Nexus” brand and going with the “Pixel” brand. 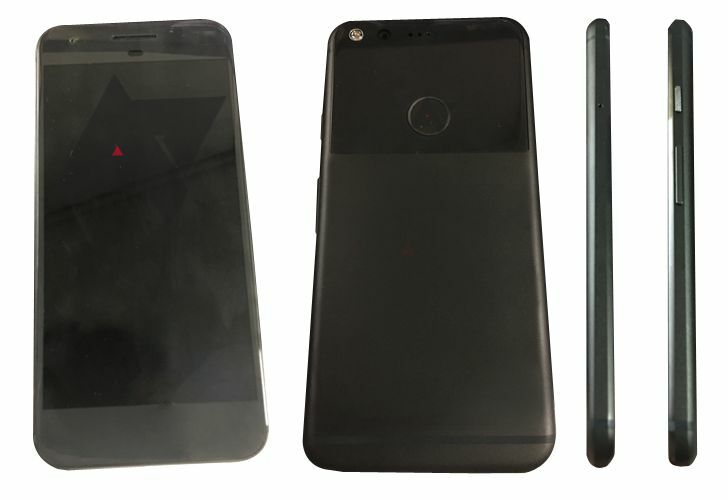 So, Google is going to launch its first phones with the name “Pixel” and “Pixel XL.” The leaked images of the Google new phone shows HTC Sailfish from various angles. According to some more heard facts, it has been known that the “HTC Marlin” would be launched at a price of $599 whereas the “HTC Sailfish” would be beginning at $499. If these heard things are real, then it can be estimated that the price of the new Google phones tends to be a bit higher than the Nexus models. Both the phones i.e. “HTC Marlin” and “HTC Sailfish” are almost identical regarding specifications which include the design and material with a just slight difference in the size of the screen, battery capacity and the resolution of the phone. The HTC Sailfish is of 5.0 inches with a bit of metal in the body parts whereas the HTC Marlin is of 5.5 inches. The new Google smartphones model seems somewhat like a combination of Nexus 4 and iPhone along with a fingerprint scanner on the back. The body of the phone appears to be of the metal surface at the lower end and is of plastic pattern texture at the top. Talking about the detailed specs of the phones, the phone comes with USB type C port along with a 3.5 mm audio jack at the head of the phone. The smaller device i.e. the Sailfish exhibits a 5-inch screen with 2770 mAh battery. It has an internal storage of 32GB along with 12 MP and 8 MP at the back end and front end respectively. However, it is still a mystery that whether there would be the model of the phone available with variant internal storage memory or not. As per the rumors, it has also been predicted that the phone will come in 3 colors which include- black, blue and white. As far as the design of the device is concerned, it looks like some standard design with nothing too unique except large bezels presents on the phone at the front end. However, the back end of the phone has got some unique things like the fingerprint sensor considerably.